The teeming seas and lengthy, fragmented coastline of Scotland are home to hundreds of species and colonies of seabirds and shorebirds. Shorebirds in Action conveys beautifully the author’s fascination with this group of birds. What is the particular appeal of shorebirds? This book attempts to answer that question. Take a few random reasons as part of the answer. Shorebirds have evolved to occupy a surprising range of habitats worldwide, from the Arctic, through the tropics, to the Antarctic. They occur coastally, inland, on wetlands, in deserts, on open grassland and in woodland and forest. Many of these are wild places that appeal to those of us who have even a mild sense of adventure. Included amongst the shorebirds are the most extraordinary migrants of any animal species, which regularly fly for days at a time, covering thousands of kilometres. Many species have developed what are, even in these days of electronic sophistication, extraordinary sensing devices to find food below ground. Every spring they enliven the lengthening days with their dramatic in-flight displays and with their wonderful calls – even if the calls have to sometimes be interpreted as a stream of expletives! They have a surprising range of plumages, some species having the same appearance all their lives, others completely change their appearance every few months, matched by a surprisingly complex range of breeding strategies. And the list goes on. 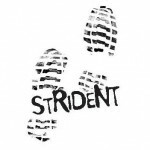 My fascination with shorebirds started with an academic research expedition to high Arctic Spitsbergen in the early 1970s where I was involved in geotechnical engineering, not avian biology! At that time, it was not possible to fly there and a whole week beckoned on the ‘fast’ mail boat from Bergen, sailing north up the Norwegian coast, across the Barents Sea, past Bear Island, to the Svalbard archipelago – and I needed something to occupy my time. I had treated myself to a pair of binoculars a few months earlier, so the obvious solution was bird watching! My list of birds seen during the expedition was quite short, particularly in Spitsbergen itself, but it included a few shorebird species: breeding Grey Phalaropes; a single, off-route Red Knot (it was red, in full breeding plumage); and Purple Sandpipers, which confused me as they had darkish legs, despite the book I had with me implying that yellow legs were an important field mark. I later discovered that the field guide omitted to mention that their legs got darker in the breeding season! A few months later, now with a real interest in shorebirds, a visit to the Isle of Sheppey in Kent, UK, again found me puzzling over shorebird identity – this time different species were involved, and they all looked confusingly similar. So similar in fact that I was not only confused, but even challenged, to put a name to them. At about the same time I discovered the journal British Birds, which had recently published an article on bird photography that showed how much could be learnt from high quality photographic images. I was hooked, both by the shorebirds themselves and now on photographing them. This book is one result. The intention here is to describe and illustrate aspects of shorebird behaviour. Although this is deliberately not a shorebird identification guide, one criterion used for selecting the photographs is to show as many different species as possible. As a result, about 180 shorebird species are illustrated – around 80% of the world’s total of 226 species – hopefully allowing this book also to be a useful identification reference. A few images of other bird species are also included to show similar – or contrasting – behaviour to that of shorebirds. The book is meant, in the context of its relatively compact size, to be read either as an introductory text on shorebird behaviour, or enjoyed as a series of photographs, showing that behaviour – but preferably both, accompanied by the captions that explain what is being illustrated. The reader who wishes for more detail on shorebird identification, plumages and ageing, as opposed to behaviour, can refer to other texts. Most of the aspects of a shorebird’s life and behaviour are described here: plumages and moult, feeding, physiology and comfort behaviour, breeding, migration and flocking. It is well beyond the scope of a relatively small book to deal with all these topics on a species-by-species basis, and consequently the more detailed coverage is restricted to a relatively few species that are reasonably representative of the world’s shorebirds. Examples are provided from Europe, Asia, Australasia, and both North and South America in an attempt to provide a survey that is as wide ranging as possible. 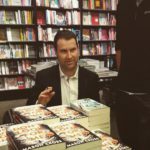 The reader who is interested in taking the subject further is directed to the references at the end of this Introduction. 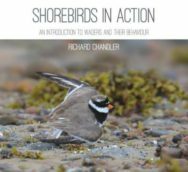 Shorebirds in Action: An Introduction to Waders and their Behaviour by Richard Chandler is out now published by Whittles Publishing.